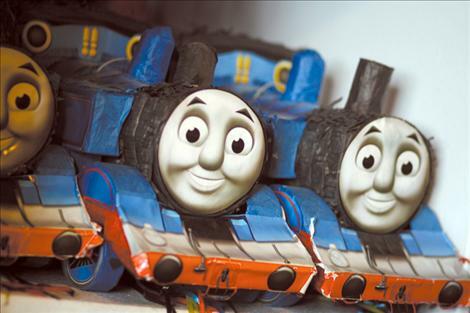 Jake Janssen smiles while looking at his massive collection of Thomas the Tank Engine toys. Now 18, Jake will graduate from Ronan High School this spring. 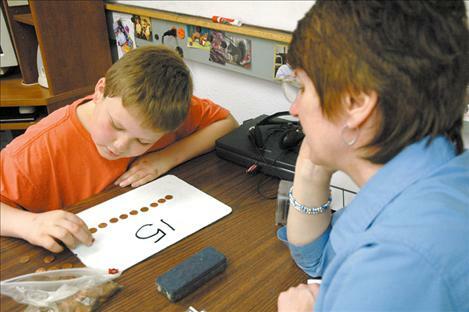 An 11-year-old Jake counts pennies in April 2005 with his former tutor MichalAnn Stedje. Eight years later, Jake is preparing to graduate this spring with his classmates. Jake and his 16-year-old sister Jenna smile and laugh during a back rub turned tickle-fight at the Janssen residence. 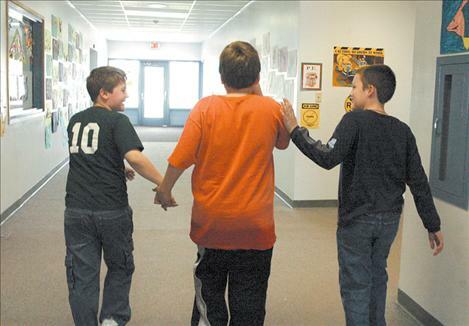 A couple of Jake’s classmates lead him down the hallway to play outside in April 2005. Jake’s classmates have supported and protected Jake during their school years. RONAN — Autism, the fastest-growing serious developmental disability in the United States, now affects one in every 88 children and one in 54 boys. With no known cure and no known cause, the condition is characterized by intellectual disabilities, difficulties in motor coordination and attention and physical health issues like sleep and gastrointestinal disturbances. The condition afflicts more than 2 million American citizens, and the numbers are growing. According to Autism Speaks, one autistic child can cost a family $60,000 per year. The National Institute of Health spends only .55 percent of its budget on autism research. 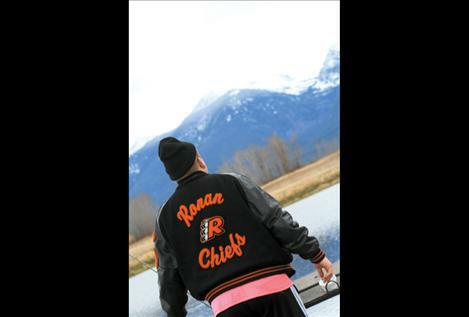 Rich Janssen, a lifelong Ronan resident and involved community member, has an autistic child. 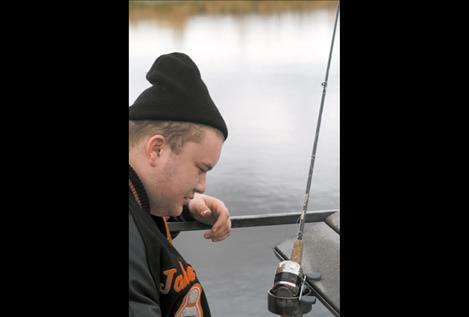 His son, Jake, was diagnosed with autism May 31, 1998, when he was 2 years old. At the time, about one in 1,000 children were autistic. That number has risen exponentially through the last 15 years to one in 50 males. One-third of those diagnosed with autism develop epilepsy. Jake is among them and was recently diagnosed with diabetes. Even so, Jake seems like one of the happiest children you’ll ever meet. 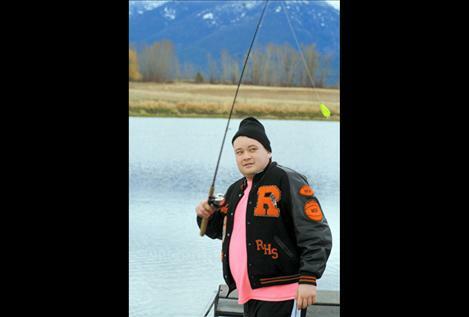 Having been integrated into Ronan schools since he was 2 1/2 years old, Jake will graduate with a high school diploma this spring and has the option to walk with his class at graduation. Jake’s 16-year-old sister Jenna described several instances when people who didn’t know Jake or understand autism said something cruel, but Jake’s classmates stood up for him. Ronan senior Cody Mock said he’s known Jake since kindergarten. 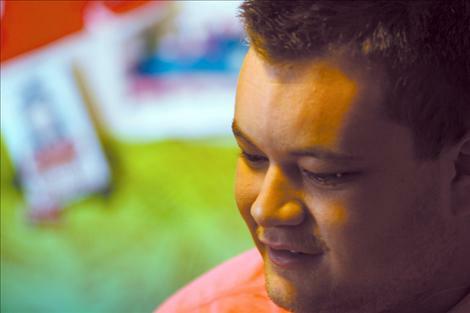 Like most afflicted with autism, Jake has difficulty communicating verbally and has his own support structure providing him with comfort and stability. He must have a good supply of his favorite meal (pancakes, bacon, eggs and maple syrup) on hand at all times. If walking in a crowd, he needs to hold his father’s hand. 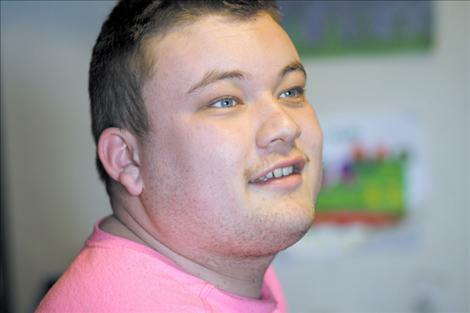 Rich described Jake as moderately high-functioning for an autistic person. He is very verbal and able to communicate roughly 100 words. 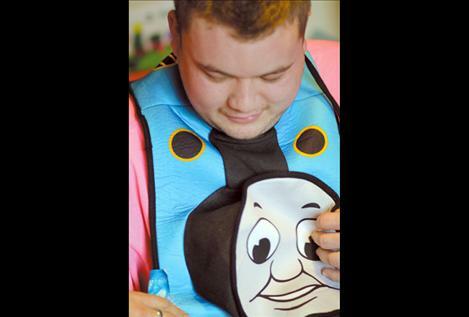 He loves Thomas the Tank Engine and Percy and has several hundred Thomas the Tank Engine toys, pillows and T-shirts. Rich said Jake is a brilliant individual with “super-senses. 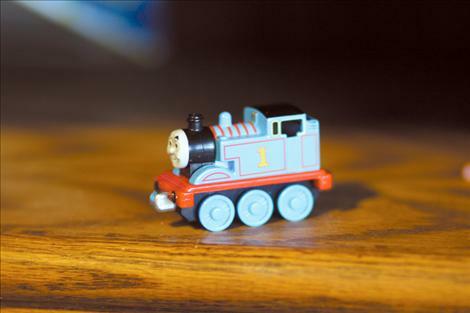 Hearing, sight and smell; nobody knows why, but most autistic children’s senses are extreme. Jenna said the hardest part about having an autistic brother are the differences from what another family might view as normal. 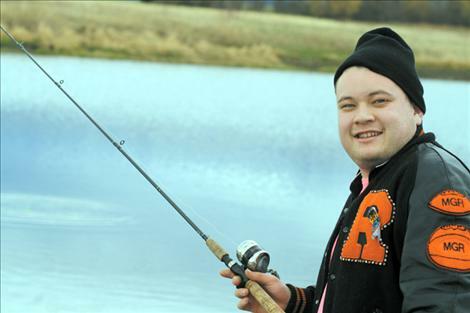 Rich said his family’s job is to prepare Jake to live semi-independently in a group home. Complicating this task is the fact that finding specialized teachers and centers is difficult in Montana. The Janssens have traveled as far as Seattle to the recently-opened Seattle Children’s Autism Center. Janssen called it a good thing for families who’ve just found out they’ve got an autistic child or relative. Unfortunately, it’s a rather lengthy drive. Rich said he’s given many presentations to colleges and future teachers of autistic children and, with the advent of the Internet, a lot of people will have more information readily available in the years to come. But there is no known cause or cure for autism. Ronan School District special services director Joan Graham has known Jake since he was 3 years old and said that while she was proud of Jake and how far he’d come, it would be emotional to watch him leave. 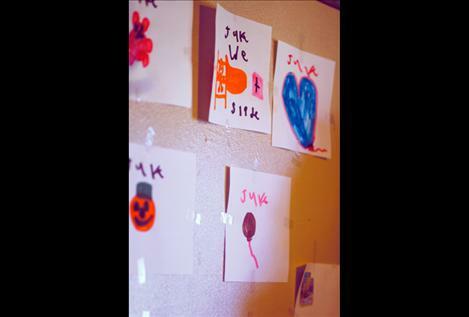 Jennie Youngren, Jake’s high school special education teacher, remembered several occasions when Jake — in another room separated by a closed door — would hear a serious phone conversation she was having. Both teachers said Jake has quite a sense of humor. “He was pulling a joke on me because Mrs. Swanberg and I look very much alike. He did it for years,” she laughed. Jake is also quite a bowler. Some time ago, the district hired a male aide who also was a good athlete and a good bowler. Jake and the aide went to the bowling alley together with some other kids. Unbeknownst to the male aide, Jake will frequently bowl either a strike or a spare. “Pretty soon it was a competition (between Jake and the male aide) as to who was going to be a better bowler, and in the end, Jake won,” Graham said. Rich said perhaps the biggest blessing is that Jake could not care less about what anybody thinks about him. “He doesn’t care,” Rich smiled. “He only cares about us and things that make him happy. “What I’m hoping for those that are just finding out their kids have autism is that they understand that it’s not the end of the world by any means — It’s actually a new beginning. I believe that because you can find out a lot about yourself and your community by dealing with it.